I hope you all have gotten safe into 2014 :) Did any of you do anything awesome? Please share in the comments! I had a brilliant dinner at my parents with amazing food! Since my last blog post I have been very busy with my apprenticeship. There's so much to learn in what feels like a very short amount of time, so it is definitely keeping me busy. On the craft side of things I have finished my iPhone cover, which I find so adorable. 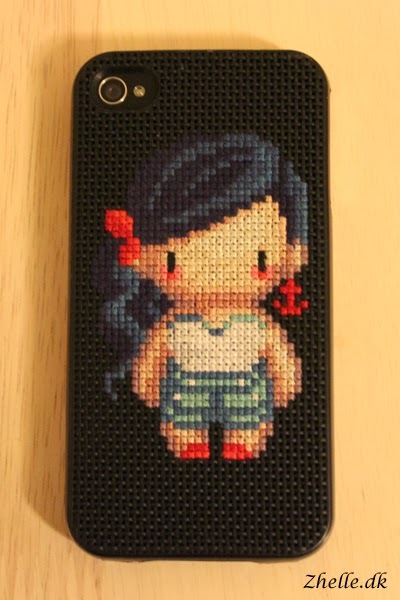 Iamnotadoll's patterns are so cute, and I recommend you go take a peek at what she has created. I am almost finished stitching with my Union Jack cushion. 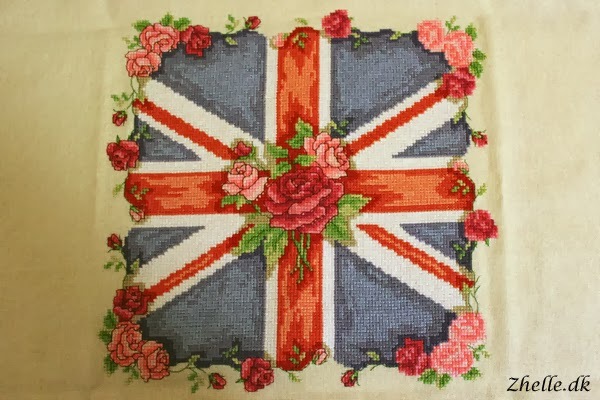 There's only a few rose buds, leaves and a bit of back stitch left. I look so much forward to the actual stitching being done! I still need to pick fabric and buttons for the back of the pillows, but I don't have any rush doing that. 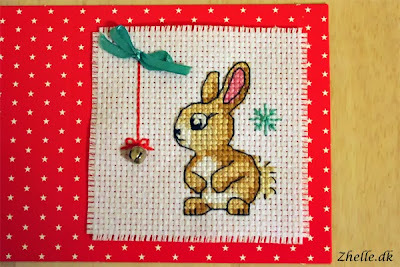 The last thing I'm going to show you today, is a Christmas card that was a gift with the CrossStitcher magazine. The little bunny is absolutely adorable! There's two more included and I have started one, but I am not sure when that is going to be finished! Do you have any projects underway? What are you planning on crafting this year? Please share!